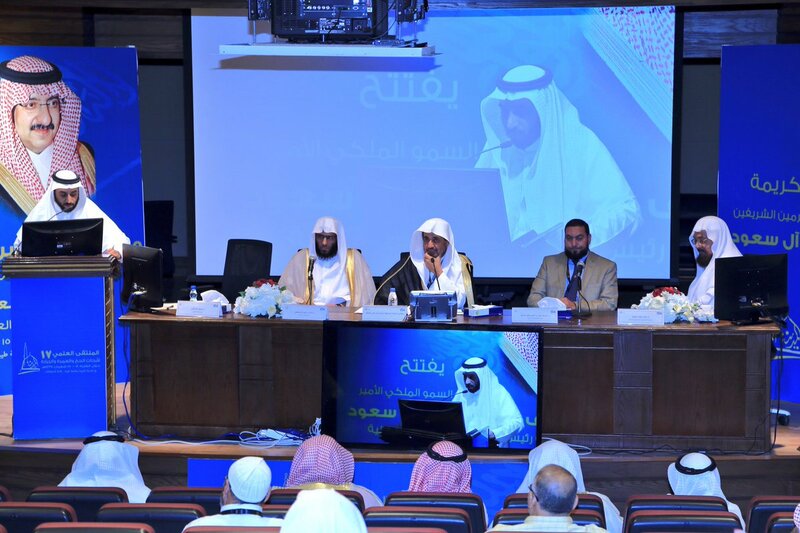 The College of Shari'ah and Islamic Studies has participated in the 17th round of the Hajj and Umrah Research Forum which was held on Shabaan 14-15, 1438H. 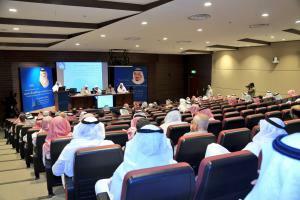 It was represented by researchers from the Department of Islamic Shari'ah. 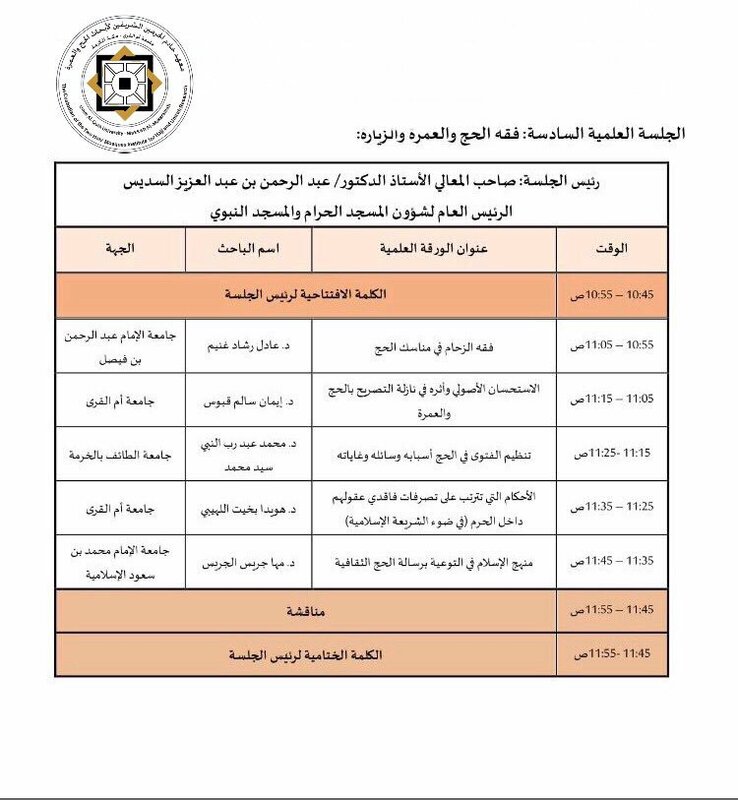 Deputy Head of Shari'ah Department Dr. Eman S. Qabous presented a research paper titled "الاستحسان الأصولي وأثره في نازلة التصريح بالحج والعمرة" in which she discussed pilgrimage permits. In her study, she said the rule says pilgrims shall never be denied access to the holy mosque, but the permits have been a necessary to address the increasing number of arrivals. 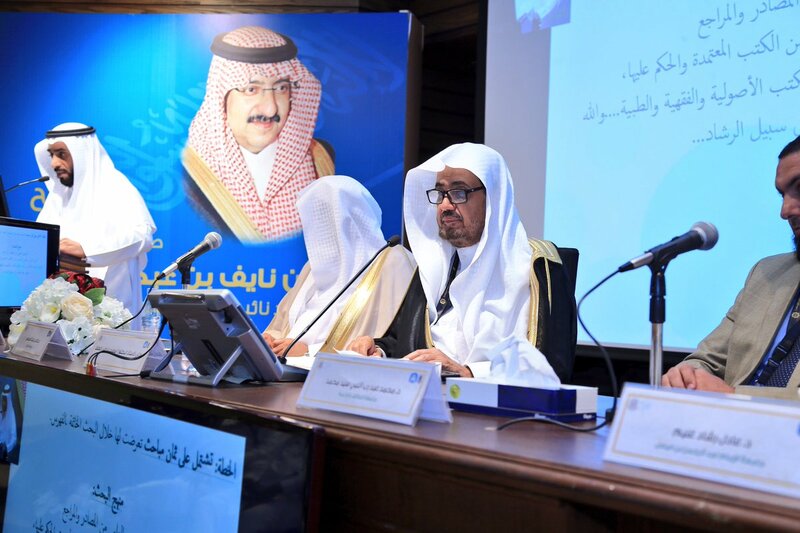 For that end, the kingdom adopted special measures to organize pilgrimage. 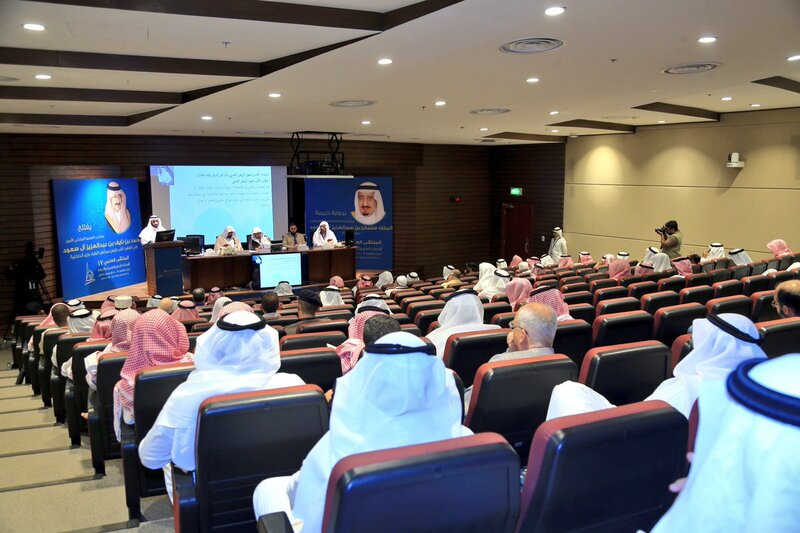 In conclusion, the researcher said permit-based arrivals may be accepted for the above justifications taking into account the permissions come in line with the main goals of the Islamic Shari'ah. 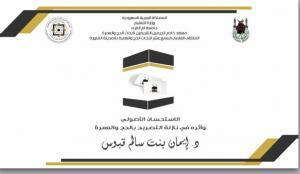 During the same session, member of the department's media committee Dr. Howayda B. Al Harby put another paper for discussing recommended reactions for ill-minded people inside the holy mosque of Makkah in light of the Islamic Shari'ah. 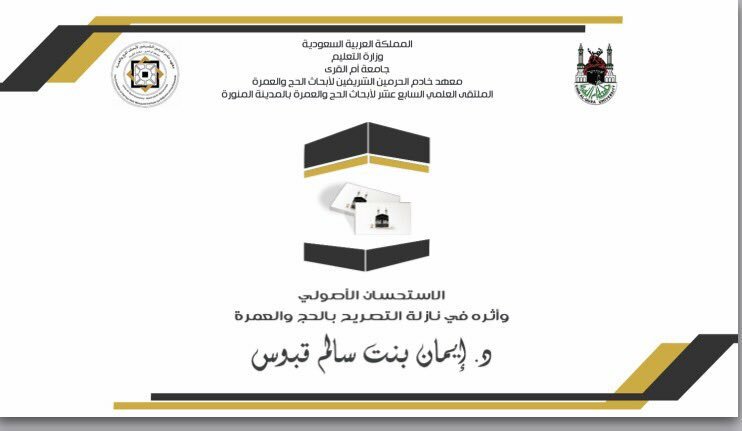 The paper provided recommendations for dealing with psychopaths and mentally ill people who may misbehave inside the holy mosque. Al Harby reiterated importance of shedding more light on phenomena to find real solutions. She wondered: many mental and psychological disorders make people commit crimes against people and property, so, are the mentally ill people responsible for their actions? Shall it be a full or partial responsibility? Therefore, would these actions be punishable? The researcher raised eight issues in the paper including competency, types and definition of psychopath and mental patient in addition to criminal responsibility as per the Islamic Shari'ah.